Craig Skowronek doesn’t make cutting boards. Oh, they might look like cutting boards and function like cutting boards, but that’s not what Skowronek went into his woodshop to create. Skowronek started making them as Christmas gifts for his children’s teachers. Before he could make it to the classrooms, parents and teachers were asking where they could buy one. So Skowronek took his hobby and turned it into Lula Woodworks. Lula Woodworks is an Alabama Maker that unlocks lumber’s loveliness from Alabama NewsCenter on Vimeo. 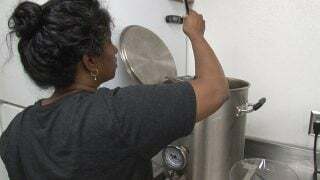 The company is named for his wife, whose “regular job” and support help make his art possible. The early days were all about getting into as many arts and crafts shows as possible to try to sell his creations. 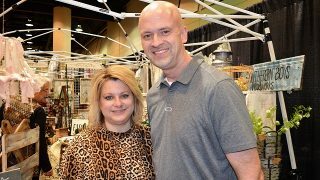 Getting a spot at Birmingham’s Market at Pepper Place “opened a lot of doors” and now Lula Woodworks can pick and choose the shows that work best. Part of that is because customers recognize what he’s doing. “For the longest time, people would say, ‘It’s a cutting board,’” he said. “Yeah, but it’s a piece of art you can cut on. To finally get to where we are now art you can cut on and not a cutting board” is gratifying. That isn’t all that took some getting used to. Skowronek makes regular visits to Atlanta to select all his woods. He brings them back to his shop in Hoover and begins the process of making a piece. His mood and even the kind of music he’s been listening to can affect the direction he takes. From there, it’s a matter of cutting the pieces of wood, piecing them together in a pattern that works, gluing them together, clamping them together and planing and sanding the piece before giving it a coat of mineral oil. The beautiful colors that come out are the result of the wood and mineral oil. There are no stains or dyes. To get there, Skowronek said he listens to the wood. 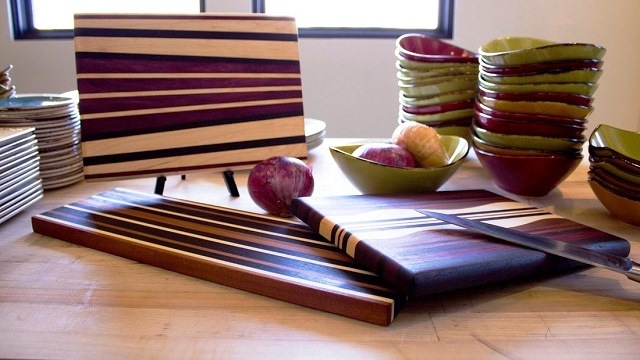 Take home: A one-of-a-kind cutting board (sizes and prices vary).